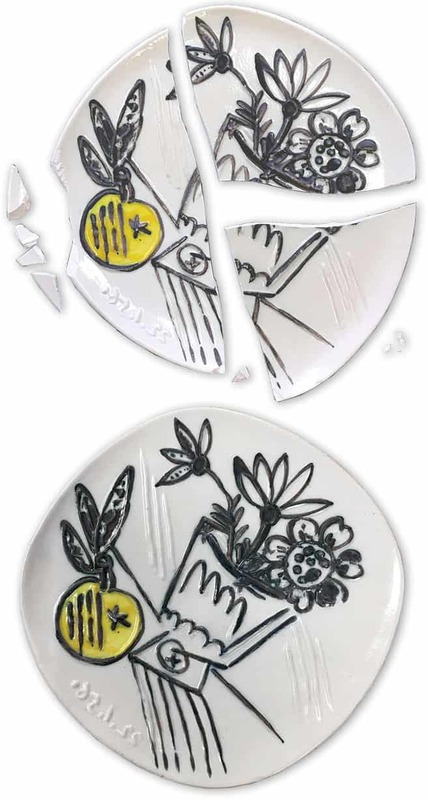 If an accident happens, our experienced conservators can repair damaged, chipped or cracked ceramics, ornaments, tableware, pottery, sculptures and figurines, whether modern or antique. Our ceramic conservators work with hard and soft paste porcelain, bone china, stoneware, terracotta, earthenware and glass to create invisible repairs. We use specialist materials compatible with the delicate object to achieve a lasting solution. The original material can be preserved by stabilising cracks, aligning broken pieces and remoulding missing areas. The final step of retouching by hand painting or airbrushing will sympathetically match the original materials and decoration. We can even do a Kintsugi repair – using the traditional Japanese technique where the broken parts are pieced back together using a mixture of gold and glue. We can even dismantle, re-bond and replace a previous discoloured or poor repair. If you have a broken item – take a look at our information on what to do in the first instance. How much will my ceramic restoration cost? Yes! I would like to receive occasional email updates about products & services, promotions, special offers, news and events from the Fine Art Restoration Company.